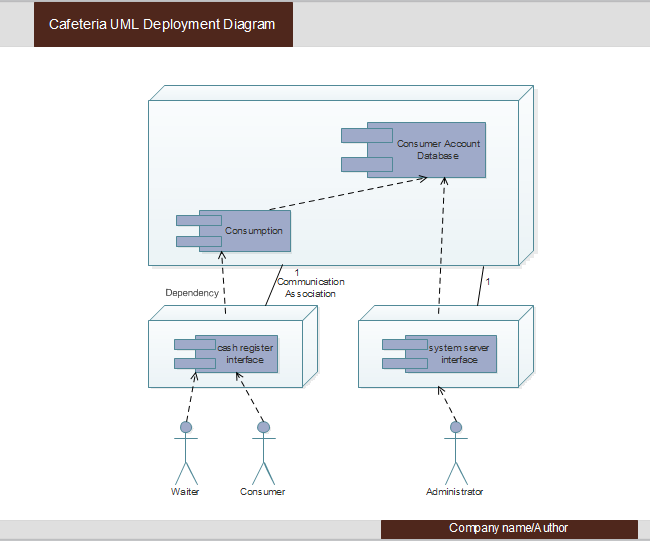 Description: A free customizable cafeteria uml deployment template is provided to download and print. Download this original file and customize with Edraw to make a great uml deployment with the least time. Many formats, including editing format, PDF format and some graphic formats are available.